After completing an extensive NASA design review, humanity is one-step closer to exploring an all-metal world called 16 Psyche. 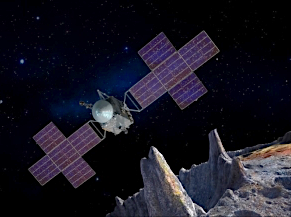 As previously announced, Maxar is working together with NASA’s Jet Propulsion Laboratory (JPL) and Arizona State University’s School of Earth and Space Exploration (ASU) in the first mission to explore what is believed to be an asteroid made of metal rather than rock or ice. The mission is expected to offer insight into how our planet formed.